Midtown Spine and Pain Clinic is the Triangle area’s elite pain management clinic. We offer a collaborative, comprehensive, and patient-centered approach to caring for patients who are living with pain. We offer non-surgical and interventional pain treatments for back pain, neck pain, and many other pain conditions. Using Image-guided spine intervention, which offers precise diagnostic capabilities, we are able to provide patients relief from their symptoms once and for all. In addition to our interventional approach to pain treatment, we spend quality time getting to know every patient that steps through the door. We pay attention to every detail, from medical history to current symptoms, to make sure that we get the entire story. Knowing our patients allows us to better treat them. Therefore, if you have been living with complex, acute, or chronic pain, we invite you to explore our interventional approaches and find out for yourself why patients are choosing Midtown Spine and Pain Clinic. At Midtown Pain and Spine Clinic, we are dedicated to relieving our patients pain, no matter the source. *This form is not HIPAA compliant and meant for non-medical questions and correspondences only. To discuss private medical information, please call our office. Dr. Thomas J. Weber, Jr. received his Doctor of Osteopathic Medicine (D.O.) from the Kirksville College of Osteopathic Medicine. 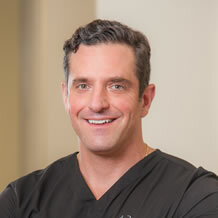 Upon graduation, he completed an internship at the Dwight D. Eisenhower Army Medical Centerand his residency in Anesthesia at the National Capital Consortium, Walter Reed National Military Medical Center. Dr. Weber then went on to Wake Forest University where he completed a fellowship in Pain Medicine. Dr. Weber is Board Certified through the American Board of Anesthesiology, in both General Anesthesiology and Pain Medicine.